I never wore any peplum tops - I always thought they weren't my thing - but when I spotted this one at work, I immediately fell in love with it. The beaded collar adds the perfect amount of cuteness and innocence to every look, don't you think? 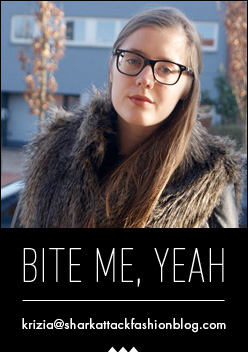 Plus, I can finally show you my new Chloé 'Carlina' sunglasses in full glory. I just love how big and over the top they are. Move over, Nicole Richie! On my left arm, I'm wearing two Loom bracelets that were made by a friend of mine; I don't have the patience to create one myself. They are made out of the colors of the Belgian and the Italian flag, which are both my nationalities. My parents are Italian, I was born in Belgium, so I'm both Belgian and Italian. Since Italy isn't competing in the World Championship any longer (and that's all I wish to say about it #Trauma), I'm giving my all to cheer for Belgium... Even though I think that the whole World Cup is a scam and that Brazil will win it. Mark my words. Anyway, the green / yellow bracelet was also a gift. A friend gave it to me as a souvenir from her trip to Barcelona. Too sweet. 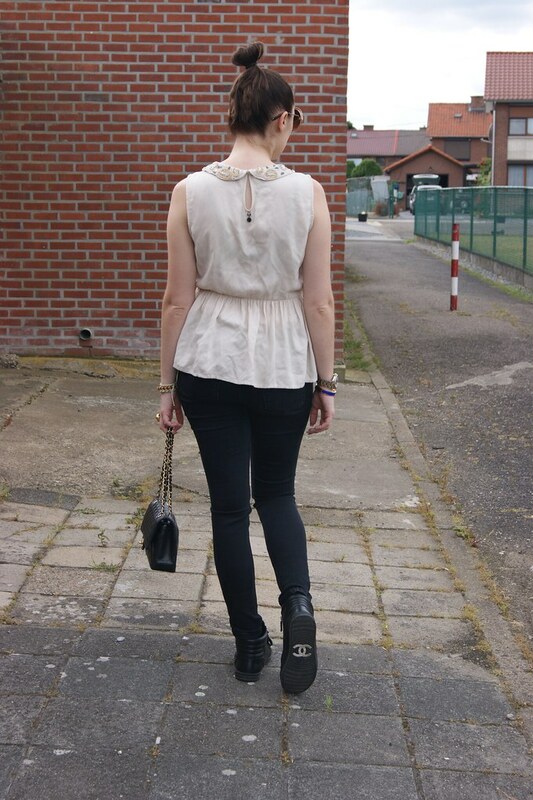 I wore this look for a shopping trip to Dusseldorf with my parents on a cloudy, yet warm day. My dad was waiting in the car while we were shooting this look, poor thing. That's a very pretty top, and comfy for the summer. 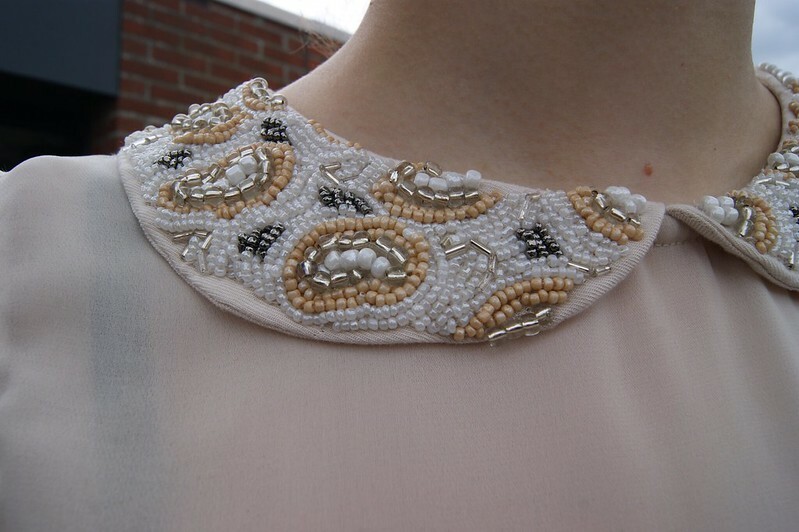 I love the beaded collar, a lot of work went into that! De look is echt top afgestyled! I totally love your ysl ring! 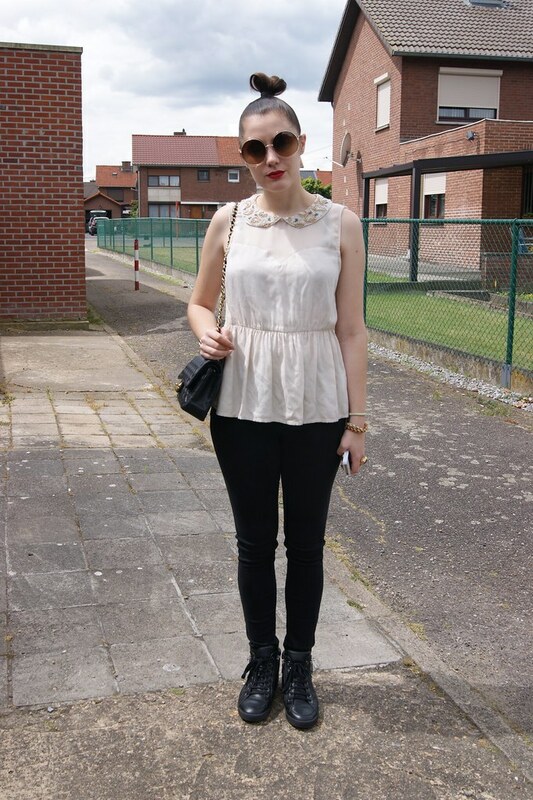 Echt mooi die peplum shirt! Zo'n peplumtop ziet er naar mijn smaak al snel té girly uit, maar jij maakt de jouwe stoer met de juiste accessoires. Leuk gedaan! 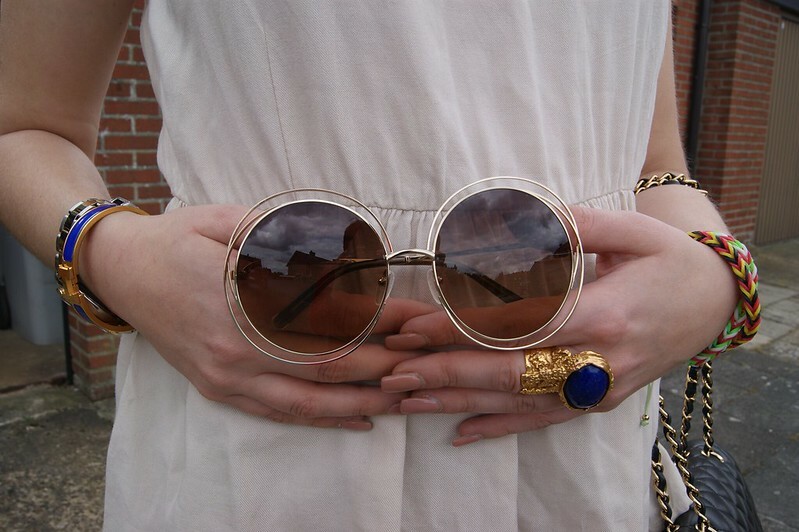 Die zonnebril is wel een schoontje, echt very seventies glam! 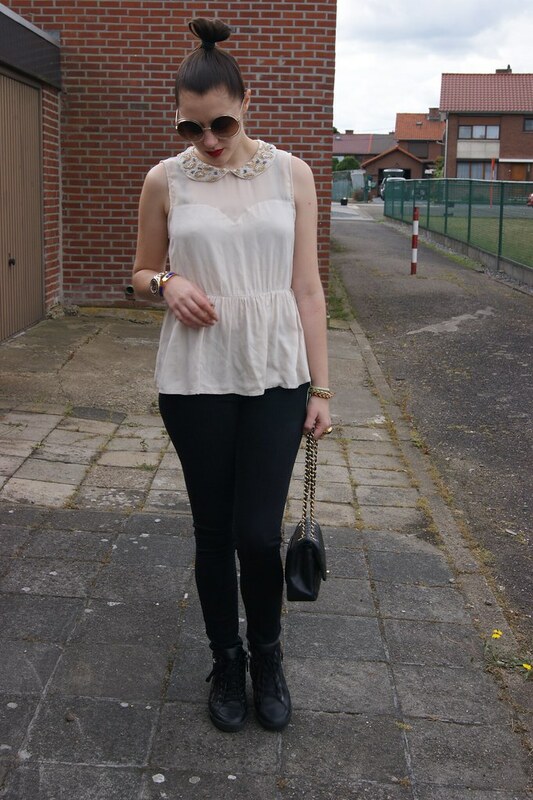 Super cute outfit, liked the contrast between the delicate blouse and heavy boots. Give a different vibe to your look. Flawless. First time here and coming back for sure! Shark Attack Video // What's New In May?